Battlemaiden Studio: Light Doll - AUCTION CLOSED! Congrats Nancy! *EDIT! * Some images were removed after the closing of this auction. Rules: Please only bid in full dollar amounts! You are bidding on the Light Doll only. To place your bid, just comment here. The winner agrees to purchase the doll through Etsy.com at the full bid price, plus an additional $10 for shipping to anywhere in the world. I will refund overcharged shipping as long as it's more than $1 through PayPal. I only accept PayPal as payment. Any questions? Let me know! 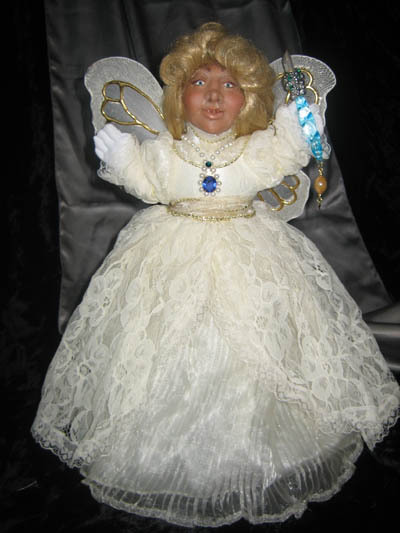 I bid $40 on this unique doll.